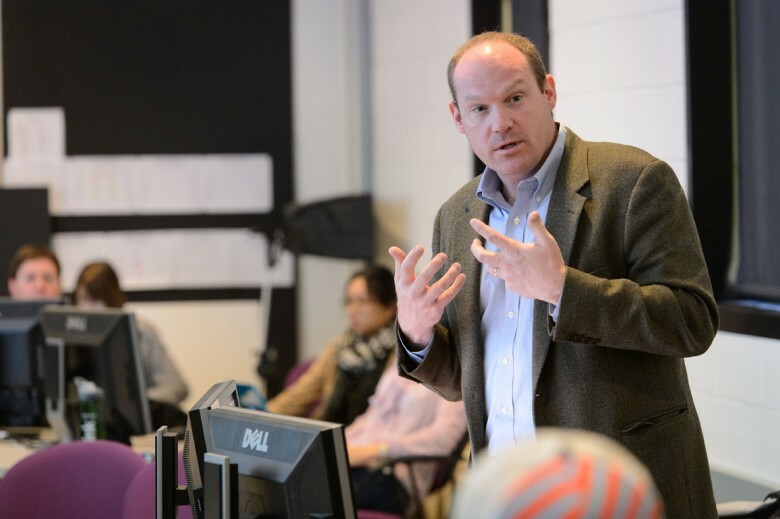 Catalyzing Newport kicked off its catalyst-in-residence with Tom Scheinfeldt, PhD, during the week of June 8 – 12. Throughout the week, Scheinfeldt, a digital humanities expert, shared his experience and perspectives while also learning about Newport’s humanities community through meetings with the Catalyzing Newport Steering Committee and Local Action Team. 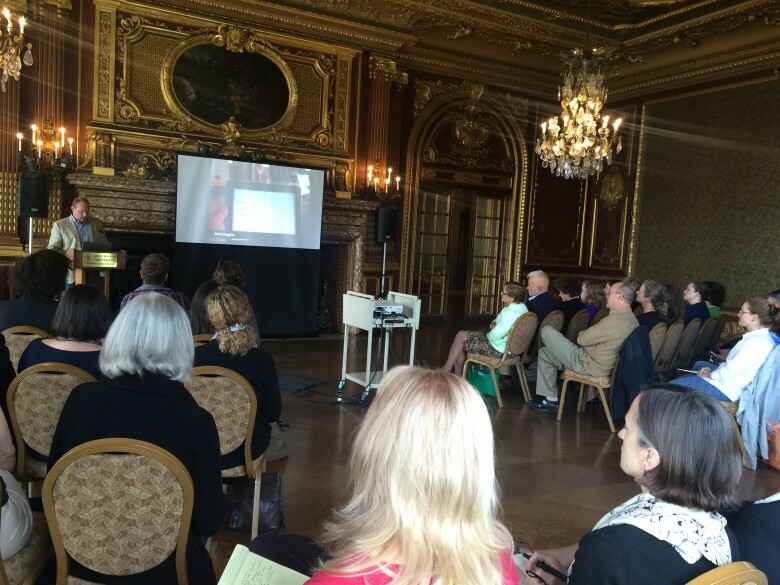 On June 9, Scheinfeldt presented a public lecture to over 50 guests at Salve Regina University’s Ochre Court Library. EXPLORATION: Design + Humanities = ? Tom Scheinfeldt and the Local Action Team are working to develop a Design + Humanities process that showcases Newport’s rich historical and cultural assets to advance collaborative efforts across disciplines and sectors. Below, Catalyzing Newport strategist and facilitator Kathleen Shannon shares ideas they are exploring to create this process. Kathleen Shannon, Catalyzing Newport strategist and facilitator, builds on her earlier reflection on Peter Senge’s workshop to explore the role of empathy and the humanities in problem-solving and the value of cross-disciplinary collaboration, which we are investigating this week with Tom Scheinfeldt. 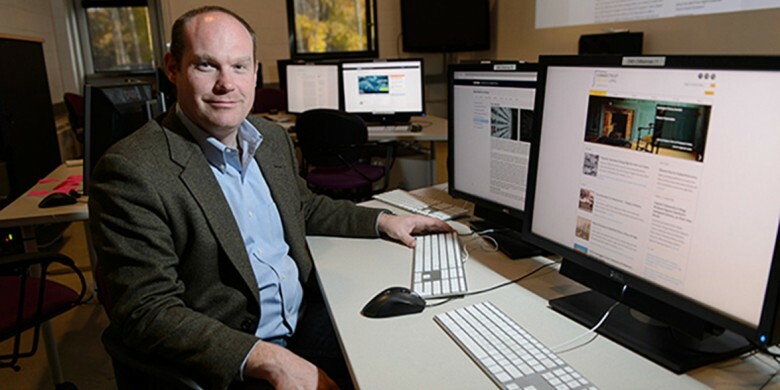 Tom Scheinfeldt, PhD, Director of Digital Humanities at the University of Connecticut,joins us this week (June 8-12) in Newport for his residency, which explore collaboration, design, and digital humanities. On Tuesday, June 9, visiting catalyst Tom Scheinfledt, PhD, will give a public talk at Ochre Court Library at Salve Regina University. Tom will explore how a “collaboration first” approach can accelerate new ways of thinking and impact the design and production of scholarly work.